10 Family Friendly Cruises for 2013 | Cruise vacations used to be a travel adventure specific to newlyweds, senior citizens or other vacationing adults, but recent changes in cruise ship amenities have made them much more family-friendly. Children are now commonly seen onboard cruise ships, and most cruise companies offer family vacation packages. If you are thinking of taking your entire family on a cruise vacation, here are 10 destination possibilities for you to consider. Because most family vacation times occur in the summer, we’ll focus a bit more on popular summer cruises rather than the typical mid-winter sojourns through traditional tropical waters. Cruising up Alaska’s famed Inside Passage is an experience that your children will remember for the rest of their lives. abundant wildlife and stunning natural vistas combine to appeal to the explorer in every child. 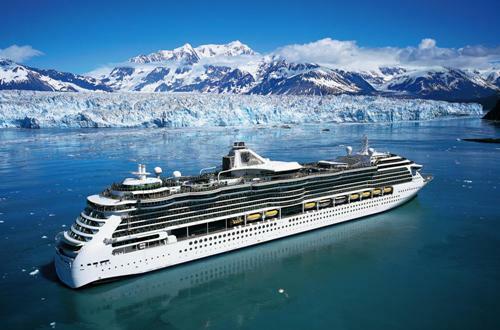 Cruises to Alaska are available from May through the latter part of September. Disney Cruises offers a variety of family-friendly cruise options, and will be scheduling sailings through Europe again this summer featuring family-friendly activities as well a rates. Those booking family cruises with Holland America can expect a significant array of family-friendly amenities and services no matter what the destination, but South American travel is particularly appealing to active, adventurous families. River cruises are an excellent way for family groups to experience Europe in the summer. Smaller ships provide a more personal experience. Antarctica is rapidly becoming one of the most popular cruise destinations for families as well as other groups traveling together. The unique wildlife and landscape of the region make it unforgettable. Northern cruises don’t all go to locations such as Norway, Sweden and Alaska. Cruises are now available that allow families to explore the historic coastline of New England and eastern Canada. Grandparent and grandchildren cruises have been increasing in popularity for the last decade or so, with some cruise lines offering several destinations at various times of the year. Activities include swimming with the dolphins in the Bahamas, exploring Mayan ruins in Mexico and riding airboats through the Everglades National Park. Busy families frequently take mini-vacations during the year to recharge batteries and get a much-needed shot of warmth. Three-day cruises through Baja California are popular options for those wanting to take the family on a three-day adventure over a long weekend. Visitors to Washington D.C. can take their families on day cruises and view historic landmarks such as the Lincoln Memorial, the U.S. Capitol, Kennedy Center and the Washington Monument. These cruises run from April through October and feature convenient hourly departure times. Family cabins, children’s menus and structured activities for all ages are featured by Carnival Cruise lines. Parents traveling through Australian waters will be able to choose from a variety of safe and fun pastimes for their children to enjoy.